Observation - Bird Skull - UK and Ireland. Description: Very long beak, surrounded by feathers. Please can somebody identify the bird this belonged to? Very long beak, surrounded by feathers. 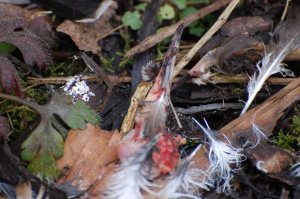 Please can somebody identify the bird this belonged to?